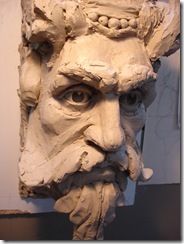 Face very nearly finished, just those eyes to bring to life, then I can plough into the mane! 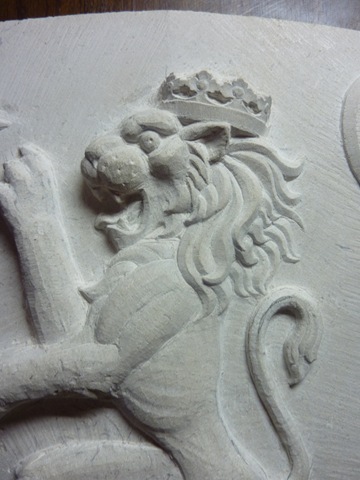 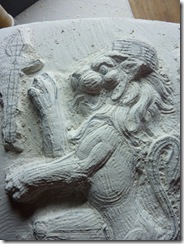 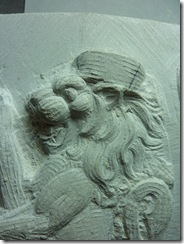 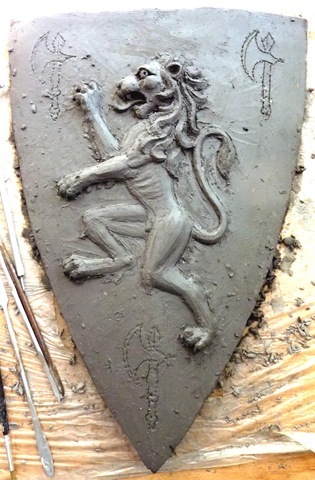 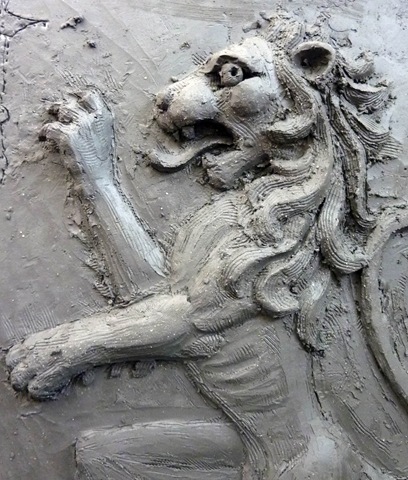 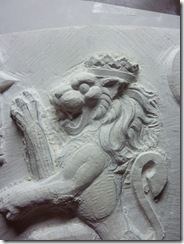 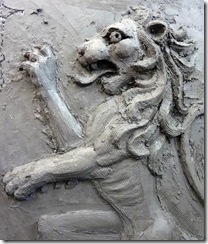 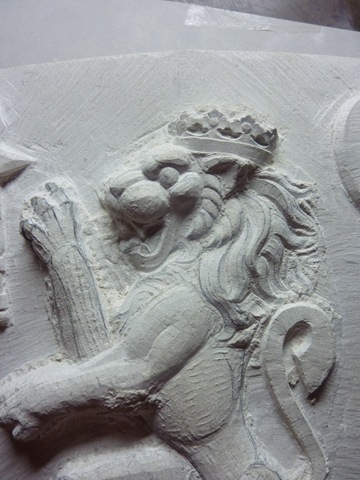 Clay Model for Pitzhanger Manor roundels. 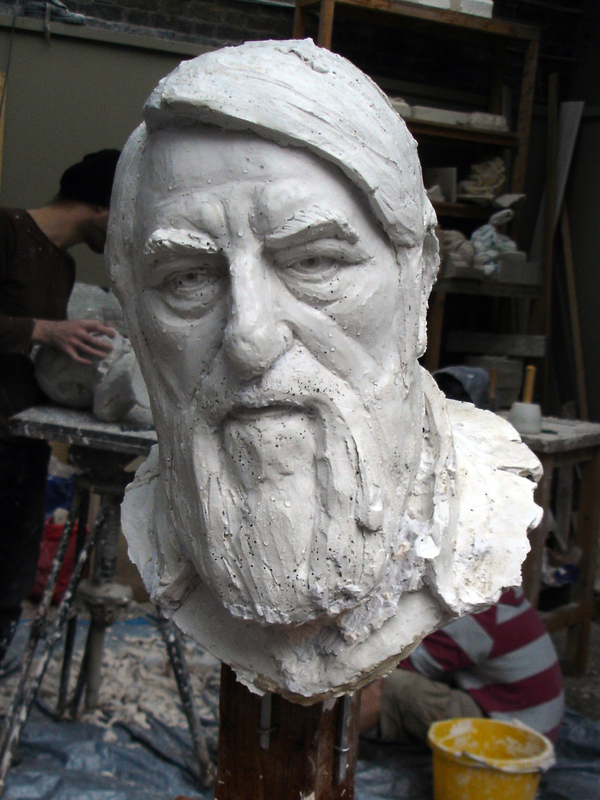 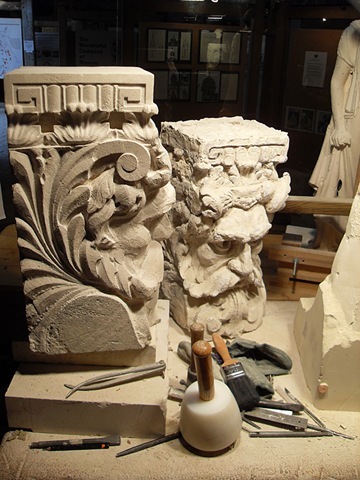 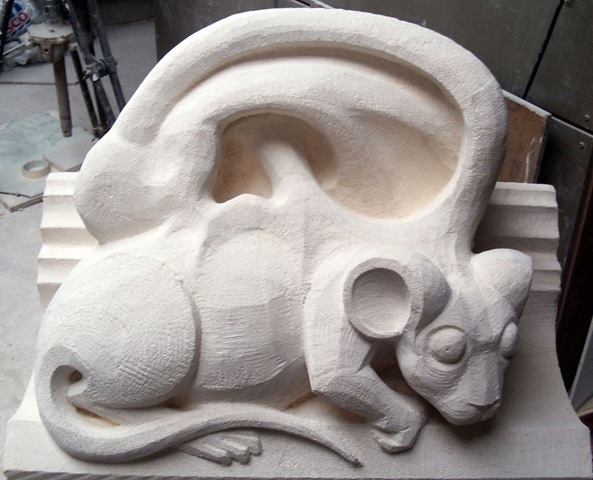 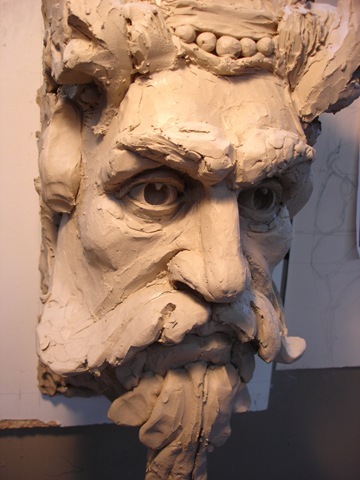 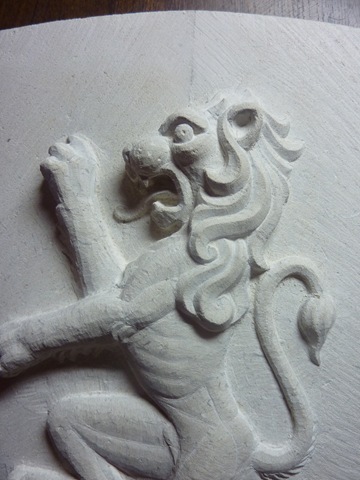 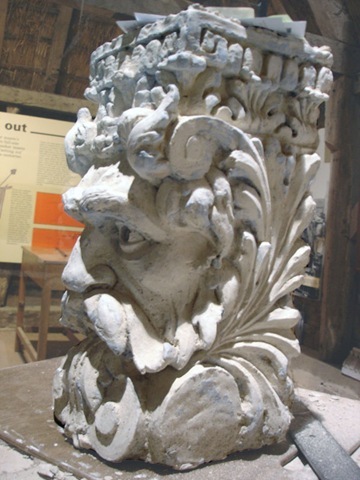 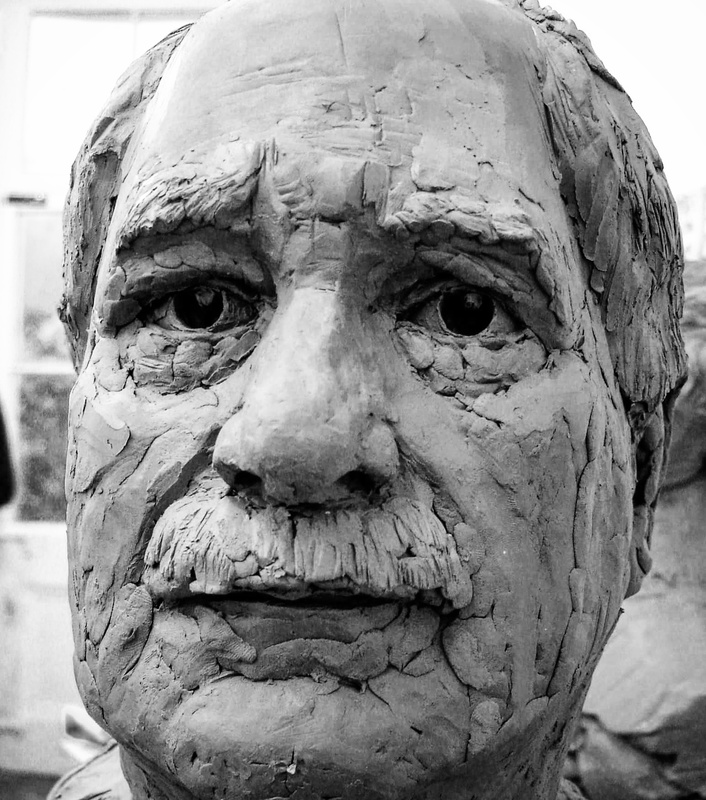 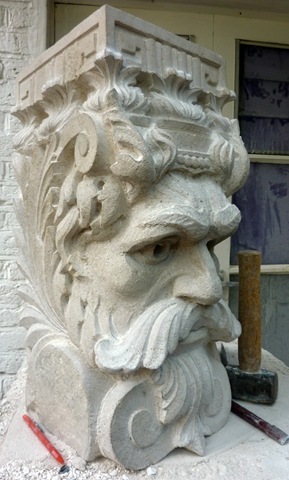 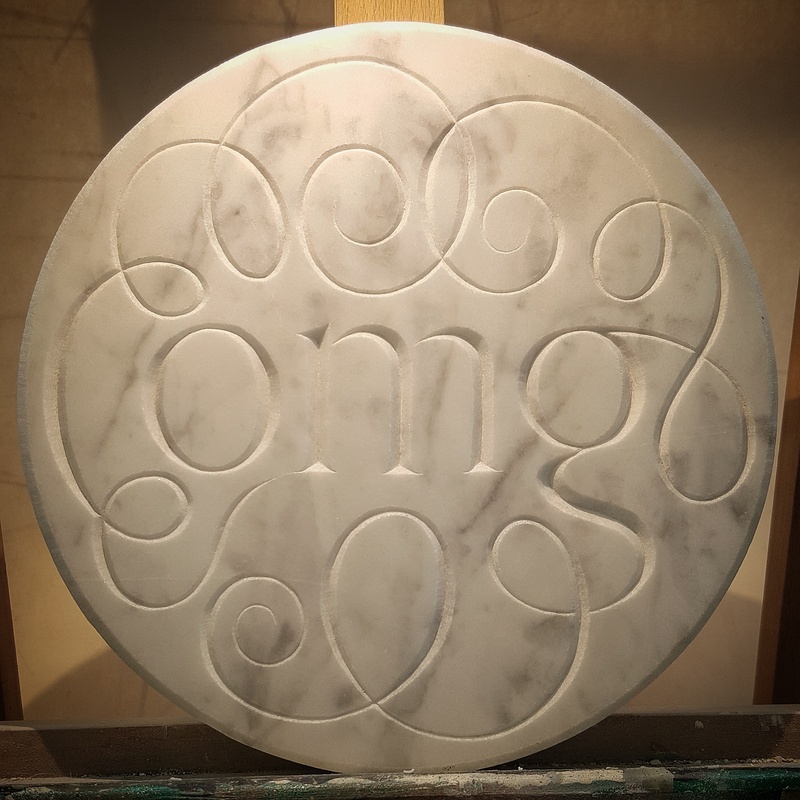 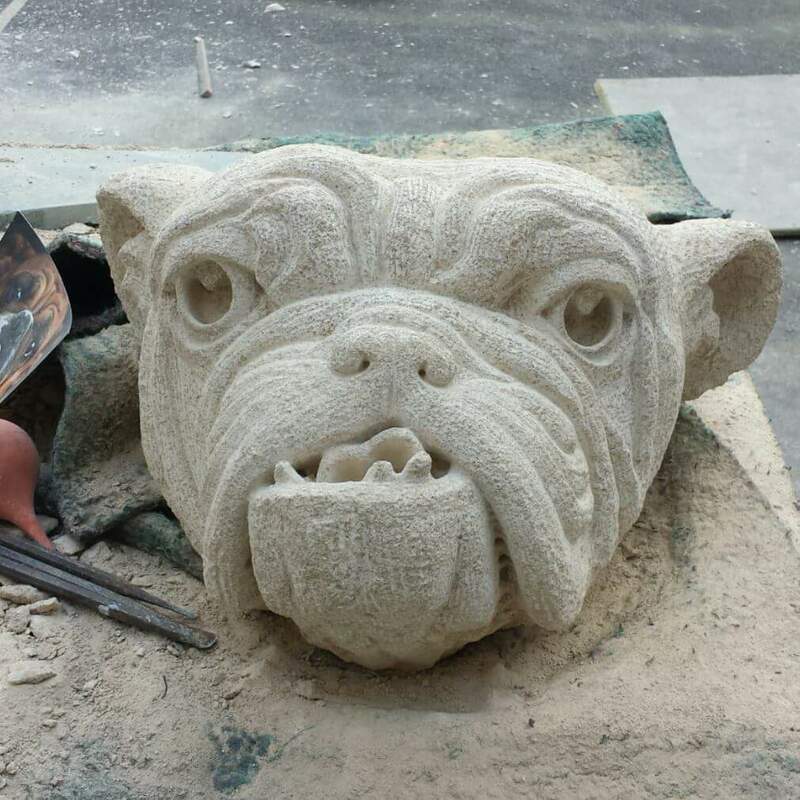 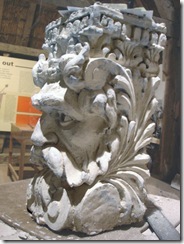 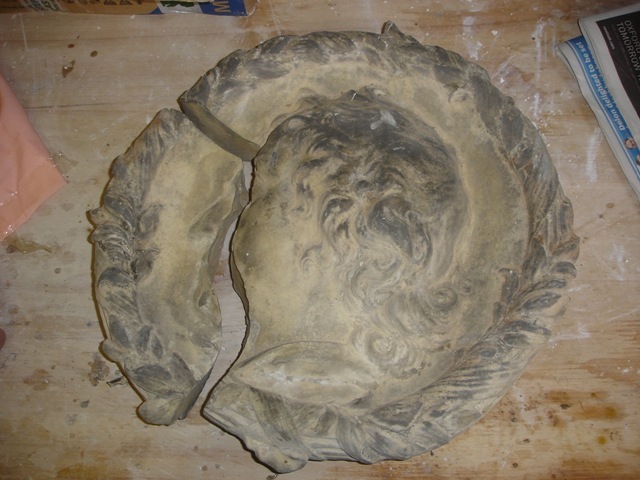 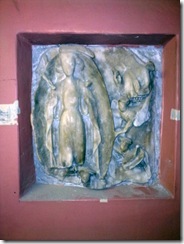 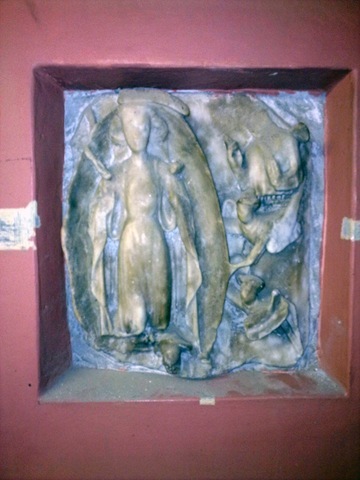 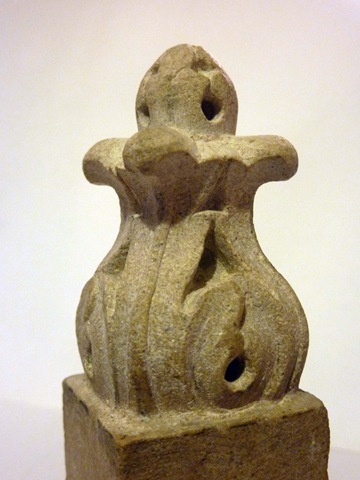 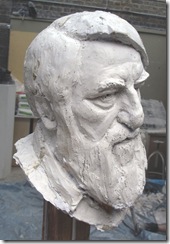 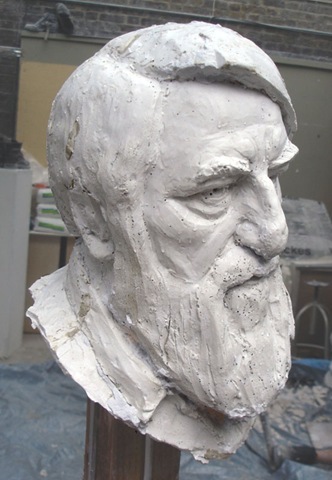 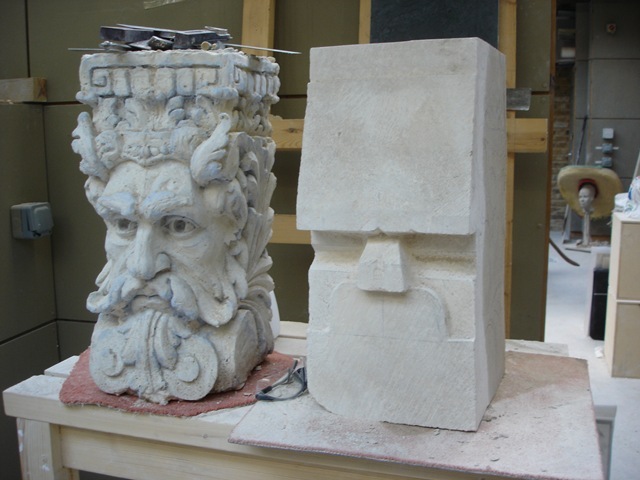 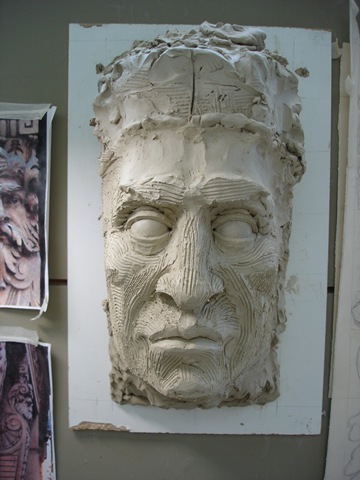 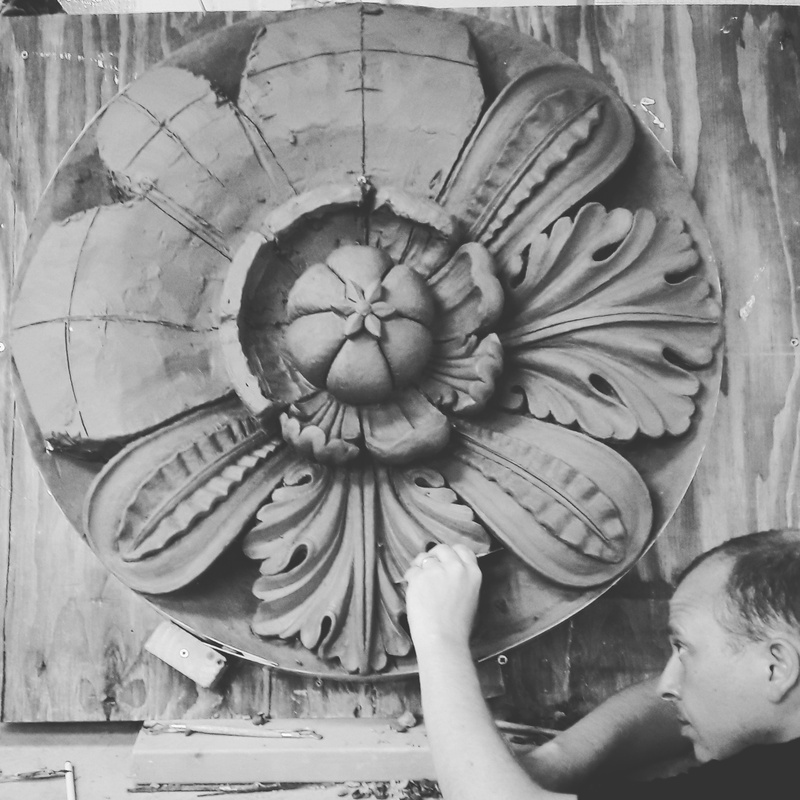 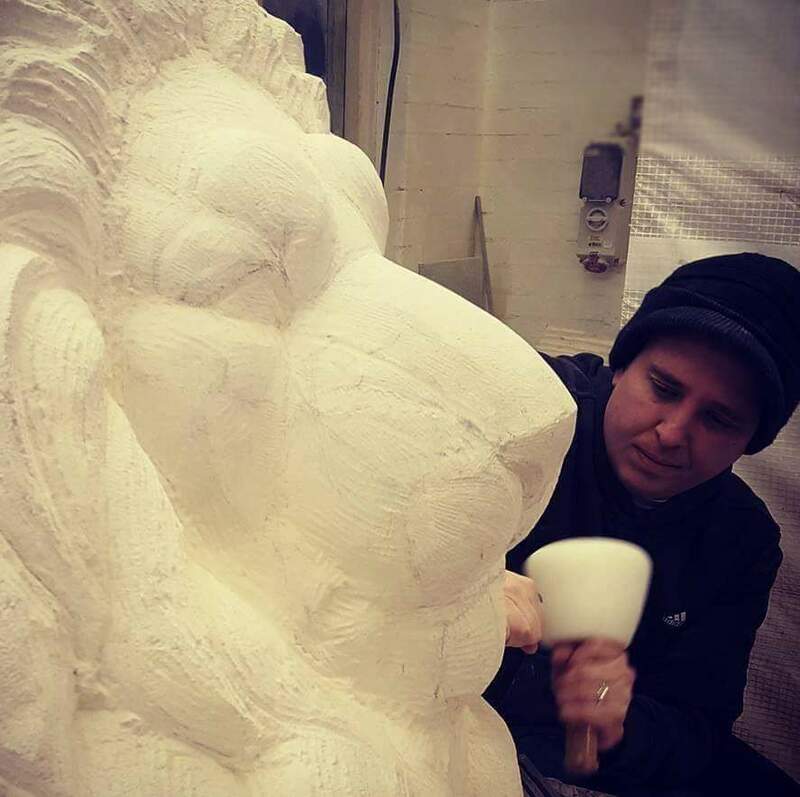 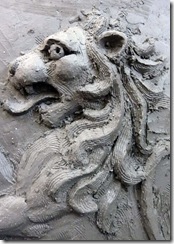 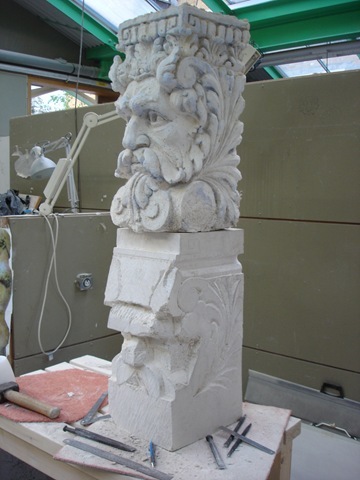 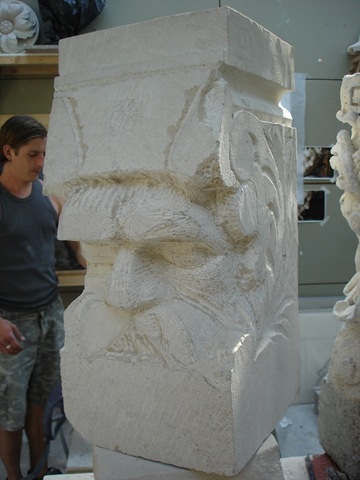 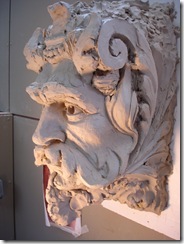 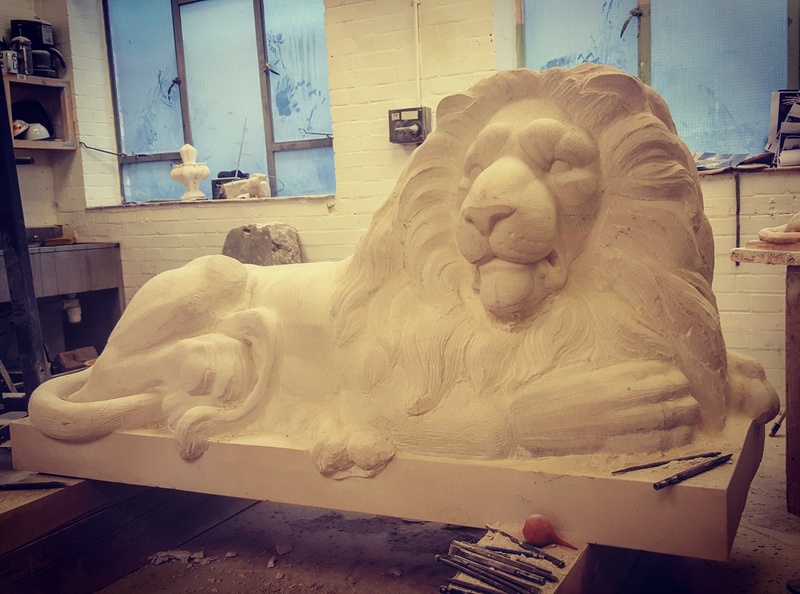 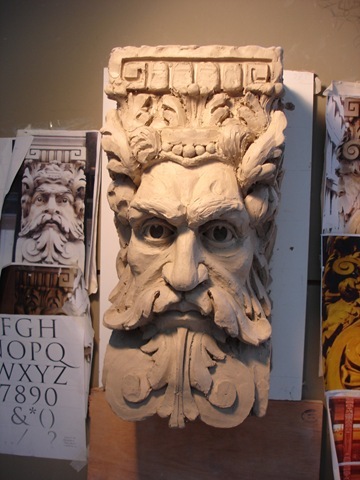 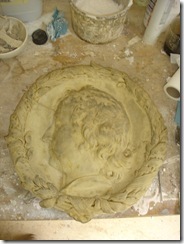 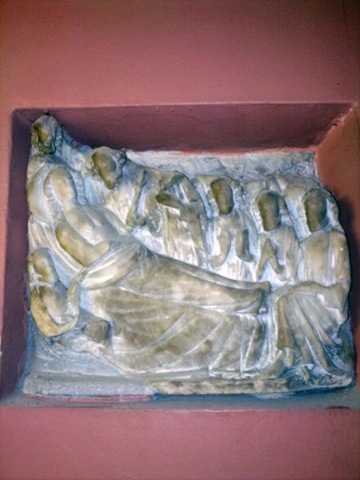 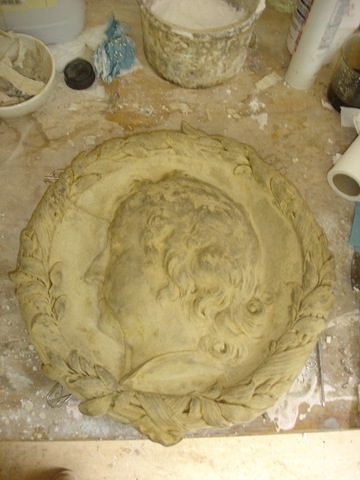 Clay Model which was cast in plaster before carving the Portland stone roundels to be installed at Sir John Soane’s Pitzhanger Manor in West London. 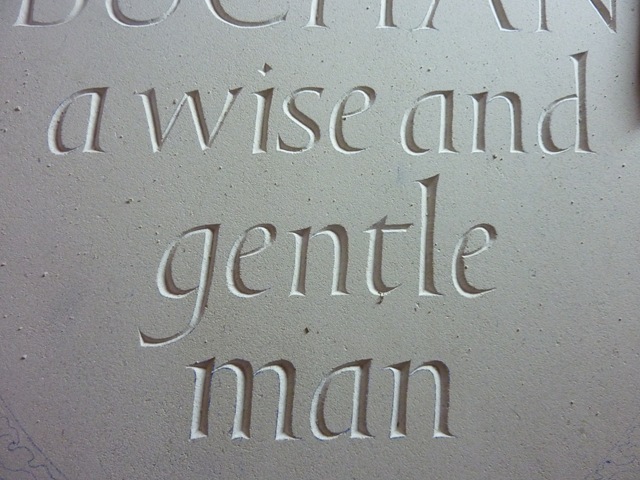 Detail from a work in progress. 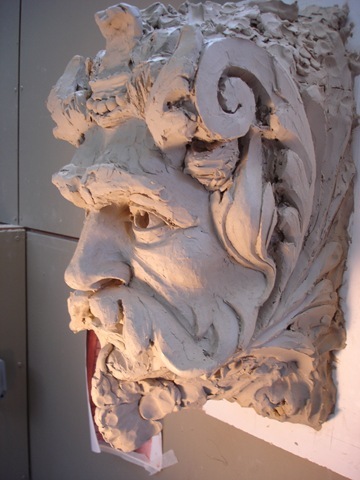 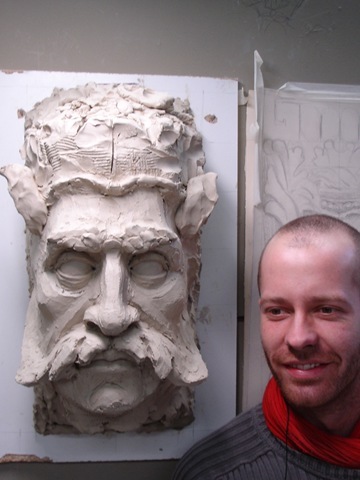 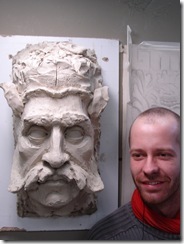 Clay Maquettes for marble relief panels. 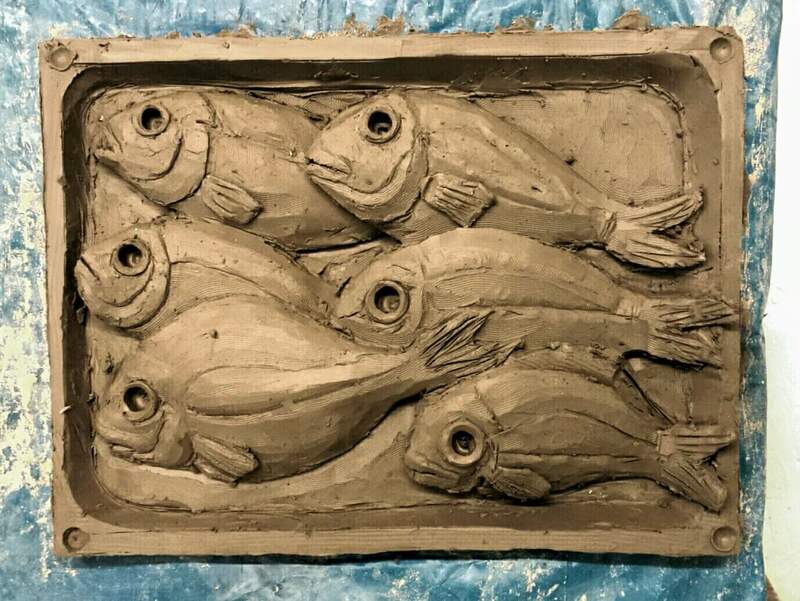 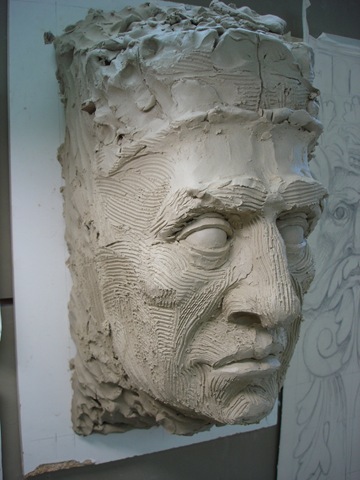 Clay sketch for a potential garden sculpture. 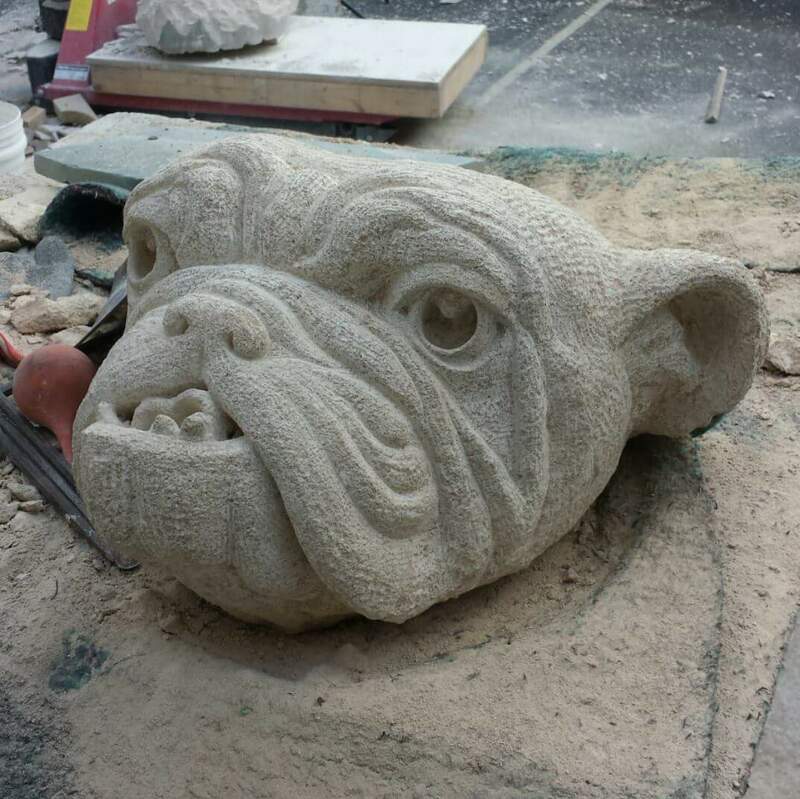 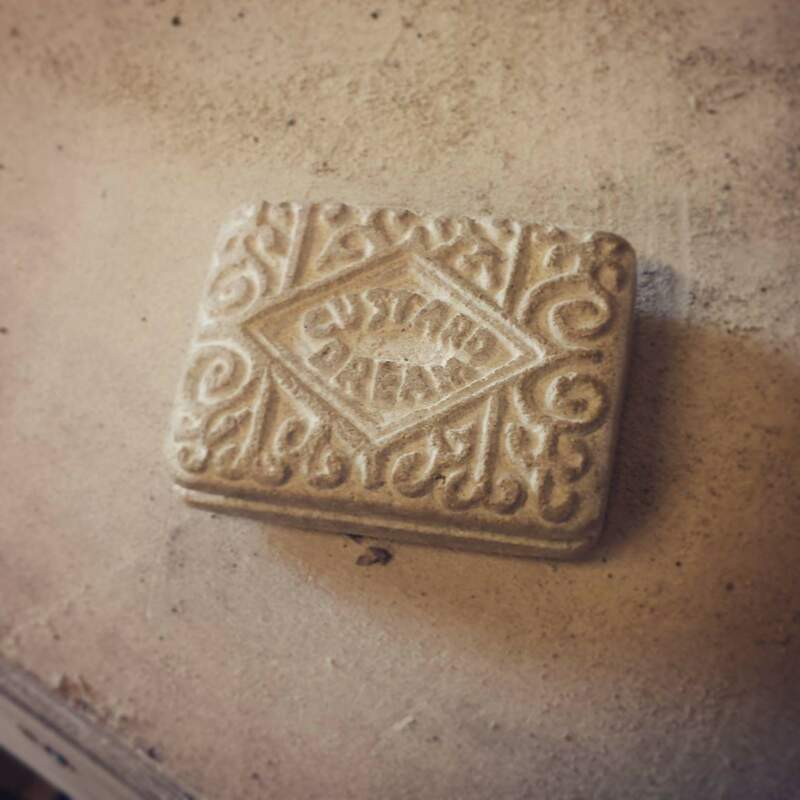 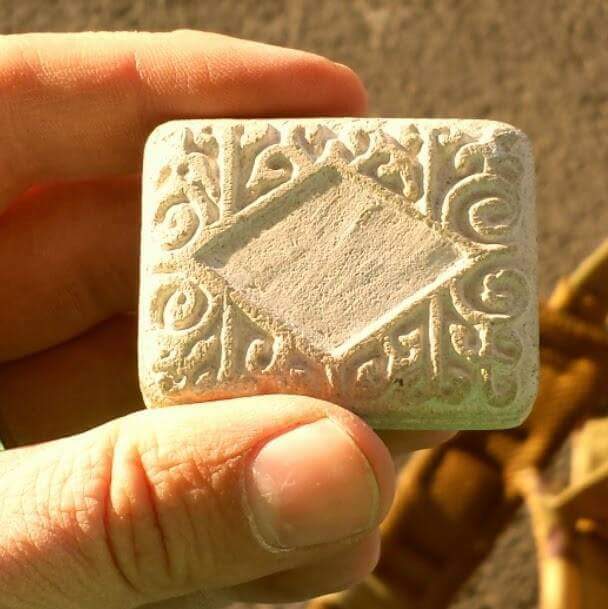 A life size custard Cream biscuit, hand carved in Portland Limestone, and stained with tea leaves. 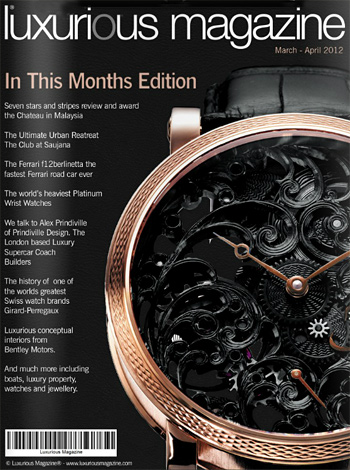 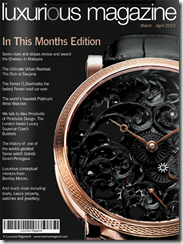 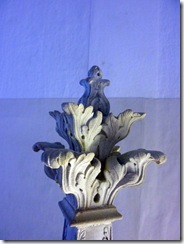 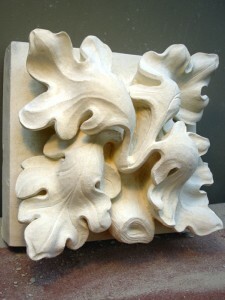 Probably the most widely recognised piece of decorative foliate ornament in modern times. 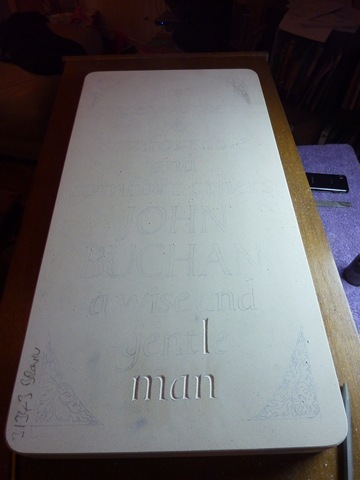 (and I got to eat the whole the pack while I worked). 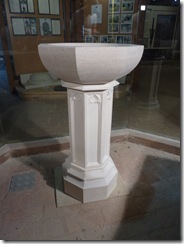 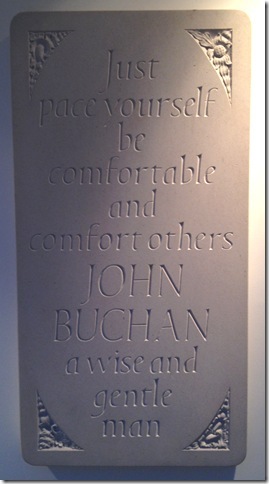 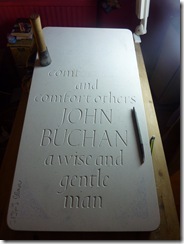 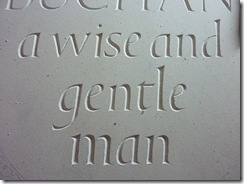 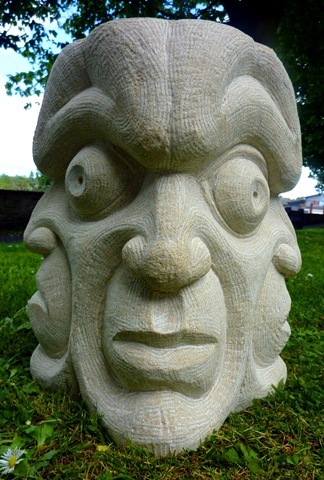 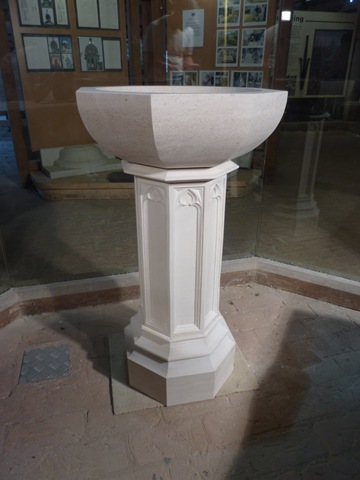 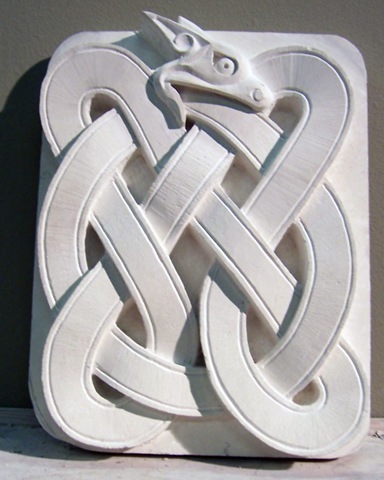 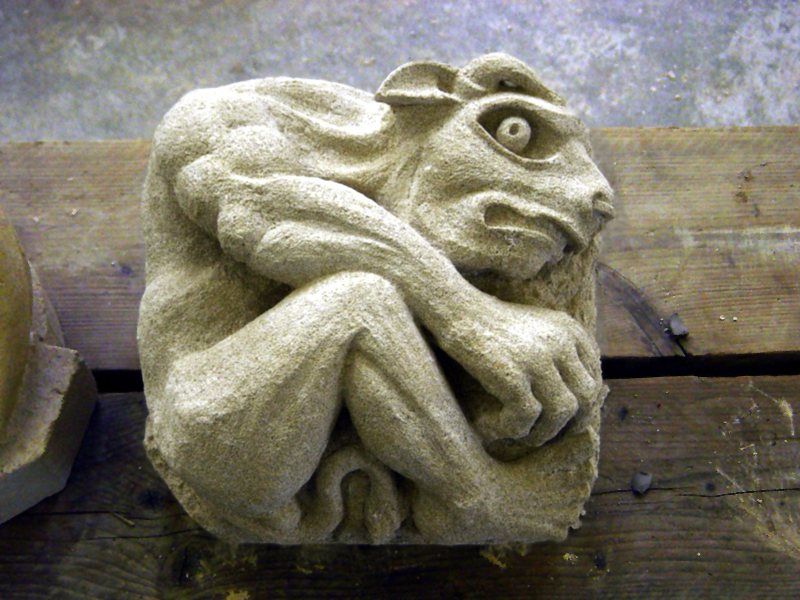 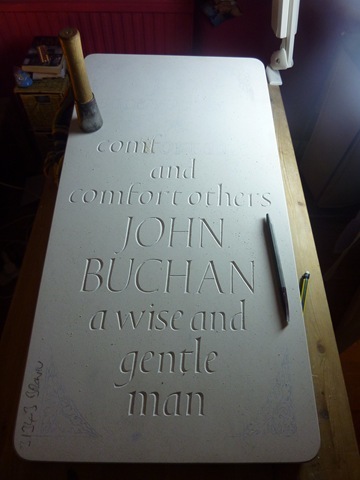 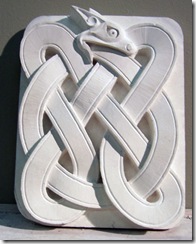 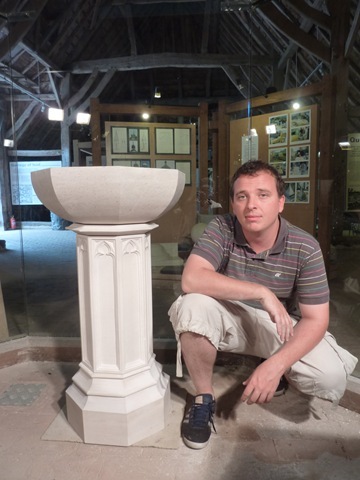 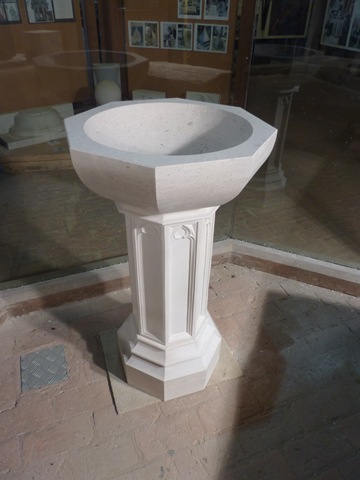 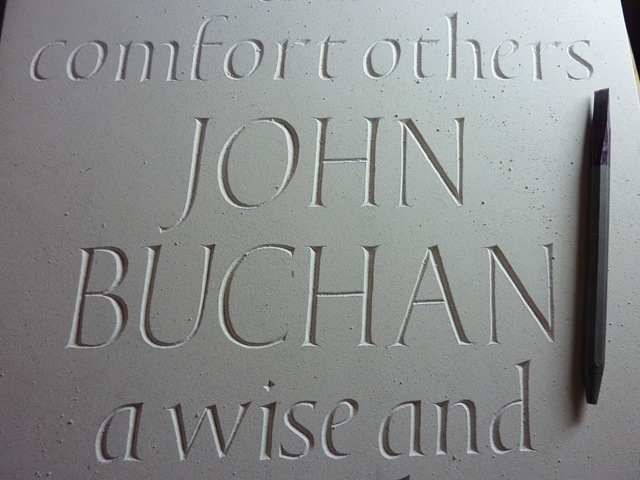 Worked in ‘Mocha Creme’ Portuguese Limestone and installed at the Wield & Downland open air museum near Chichester. 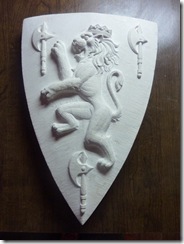 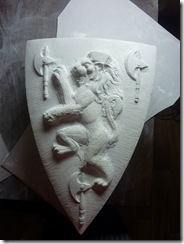 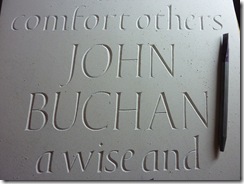 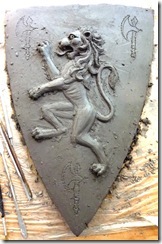 I restored this plaque using the Micro Abrasive system, then chemically. 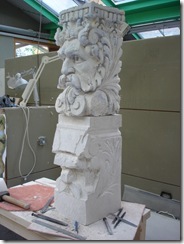 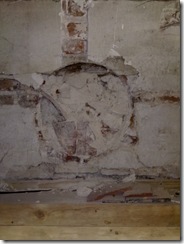 The break was pinned with stone resin and the fracture filled with Paraloid resin mixed with Coade Stone powder. 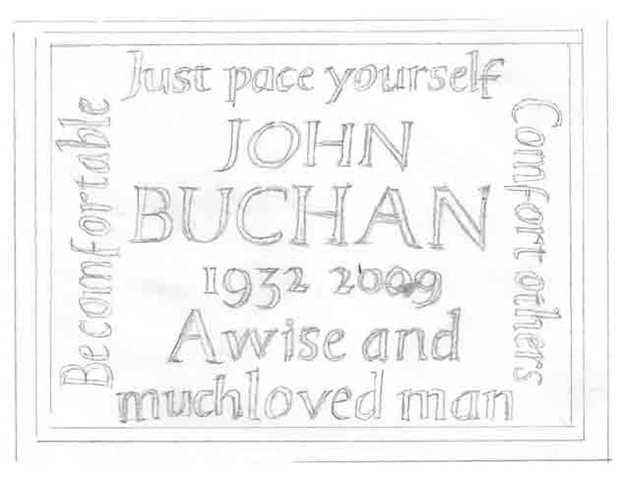 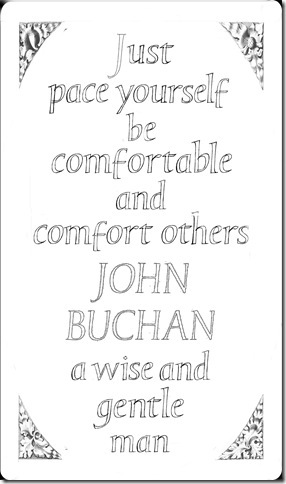 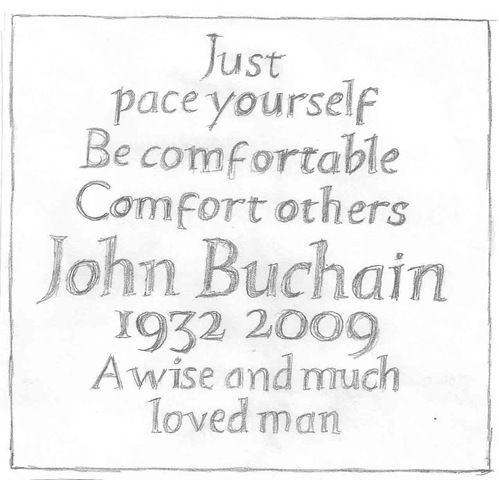 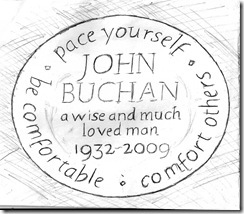 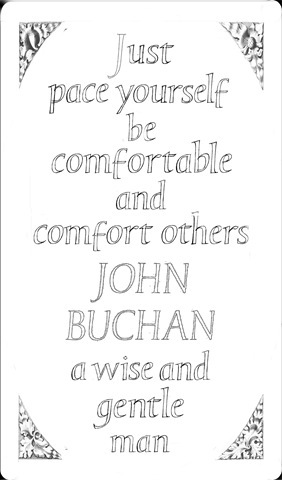 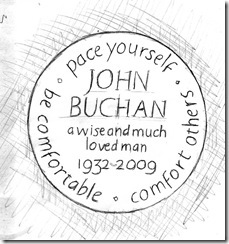 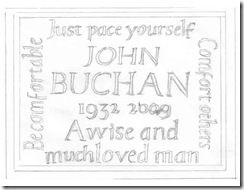 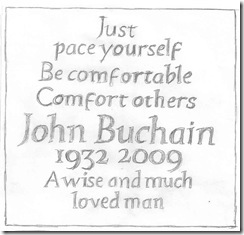 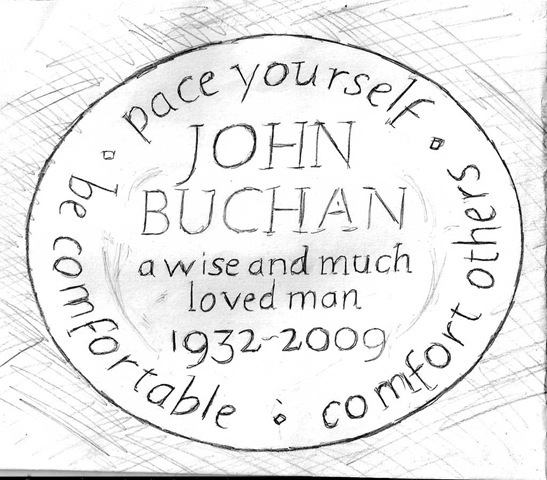 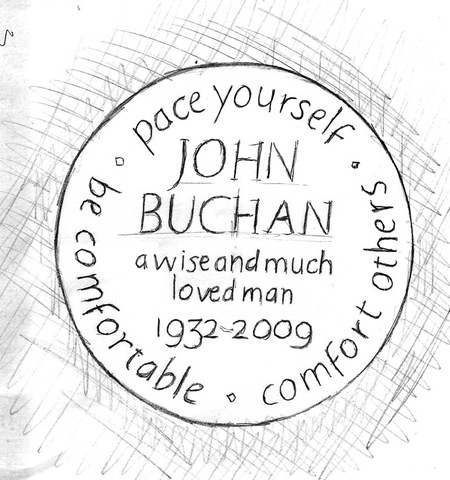 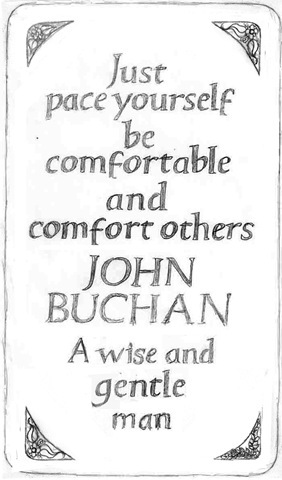 The final design which will be slightly adjusted and perfected when I transfer onto my stone. 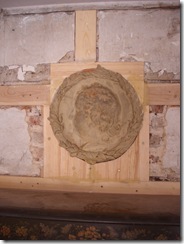 Much of this will then be gilded when the mansion is re-opened. 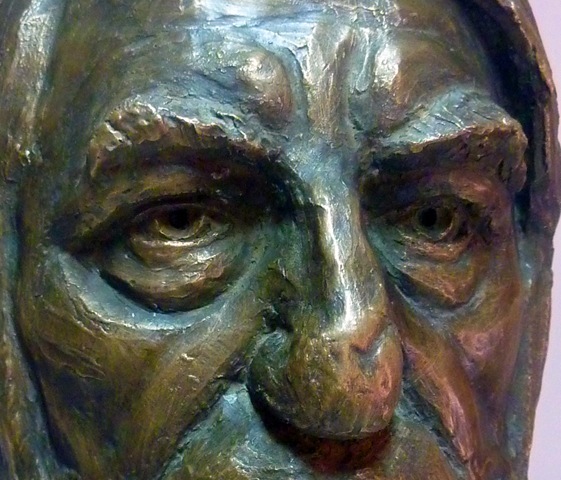 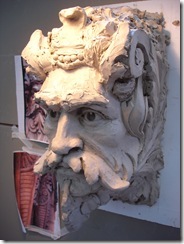 Developing detail, focusing on the mane and face. 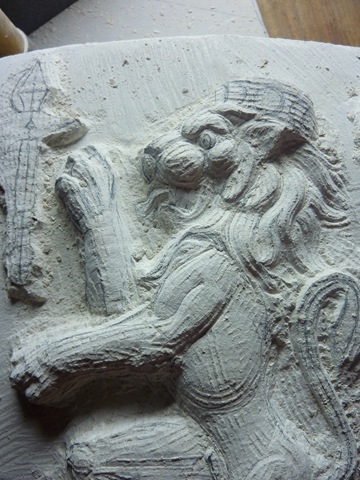 Paws are very tricky. 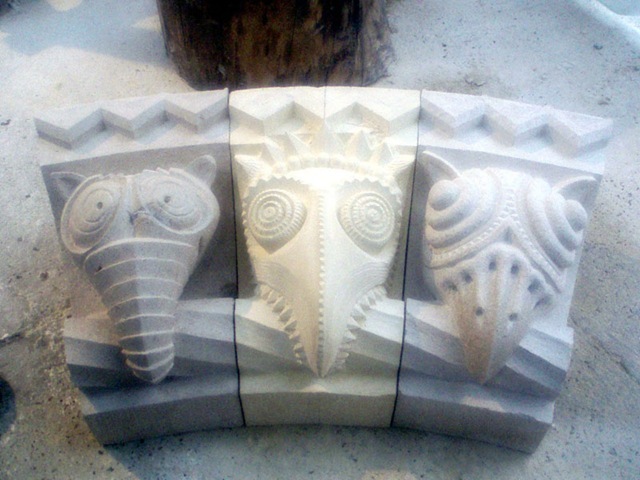 And here are the other two! 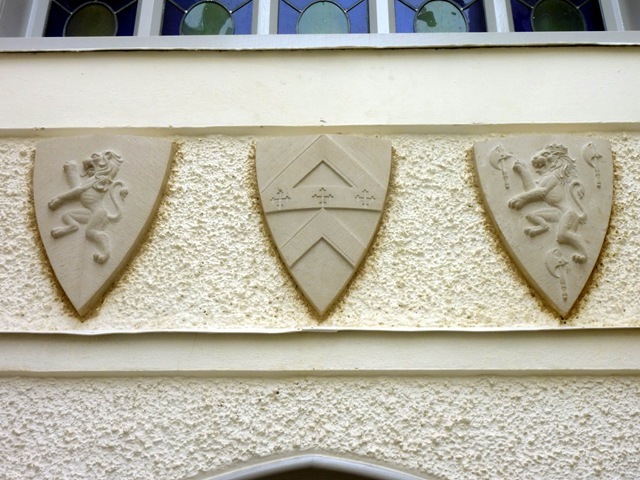 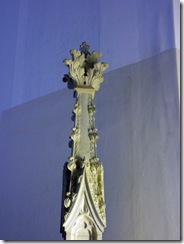 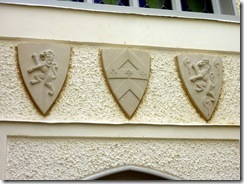 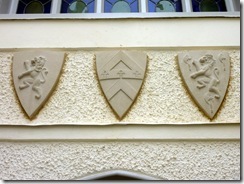 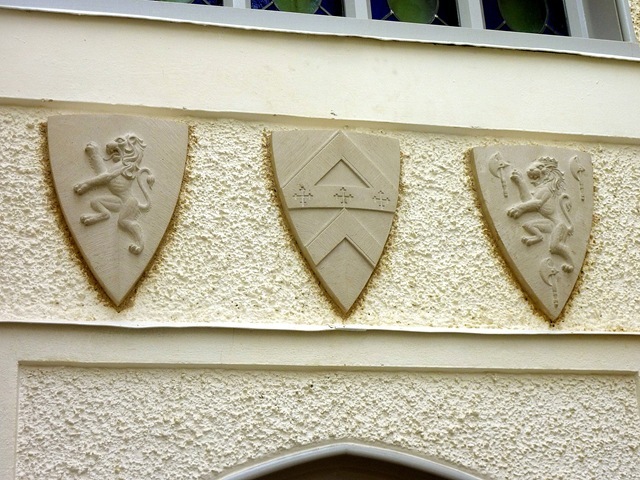 And here they are after I have installed them above the main entrance at Strawberry Hill in Twickenham. 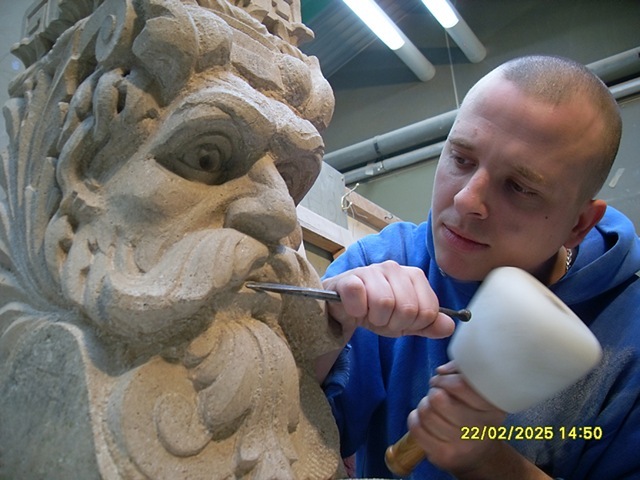 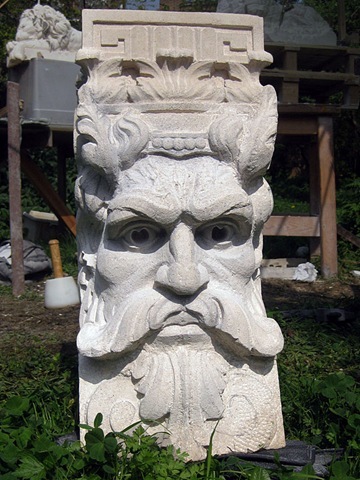 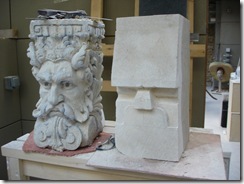 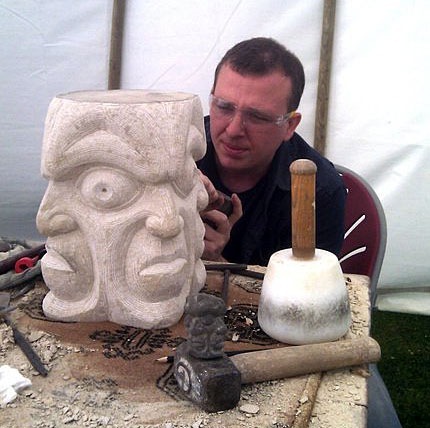 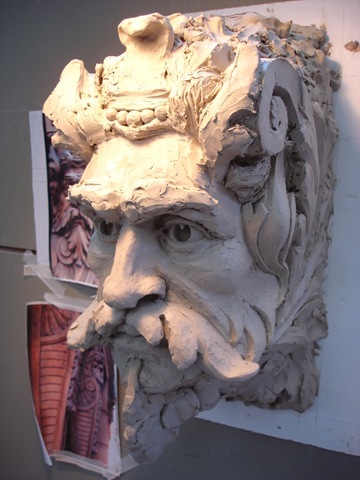 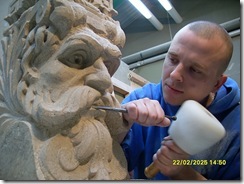 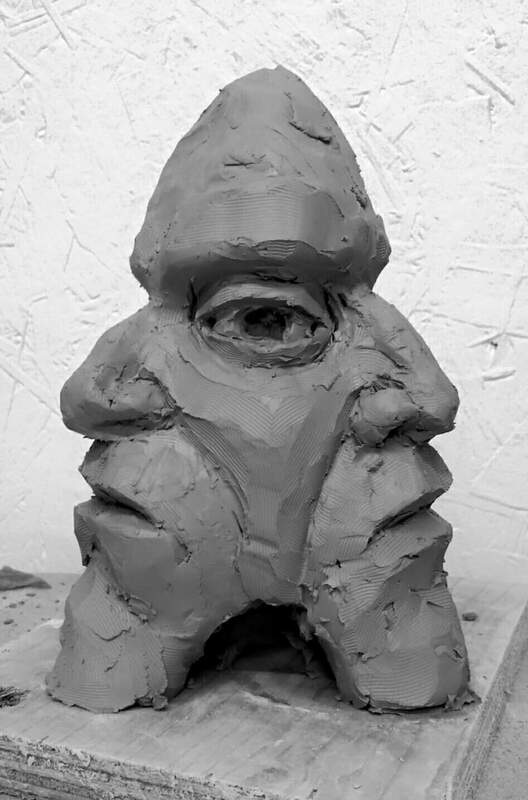 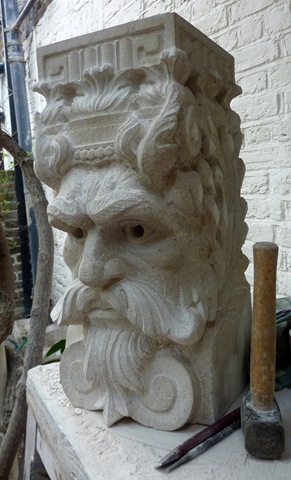 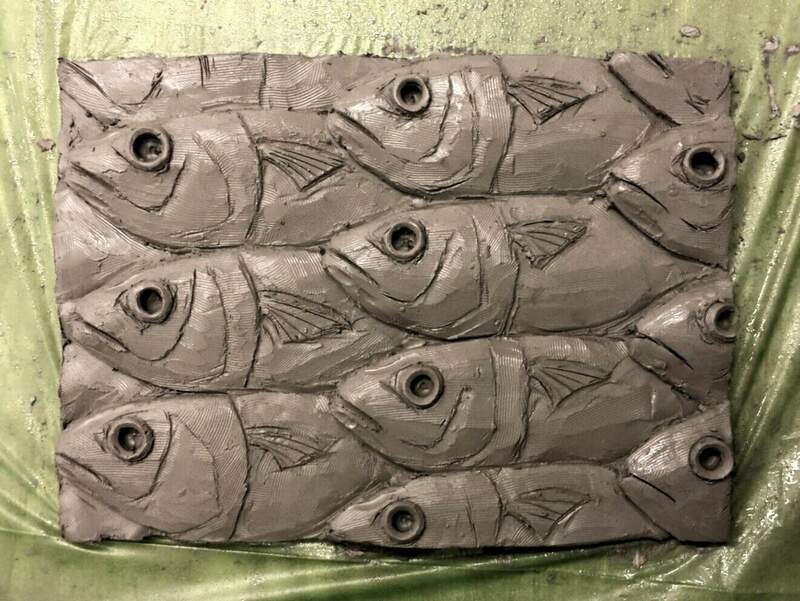 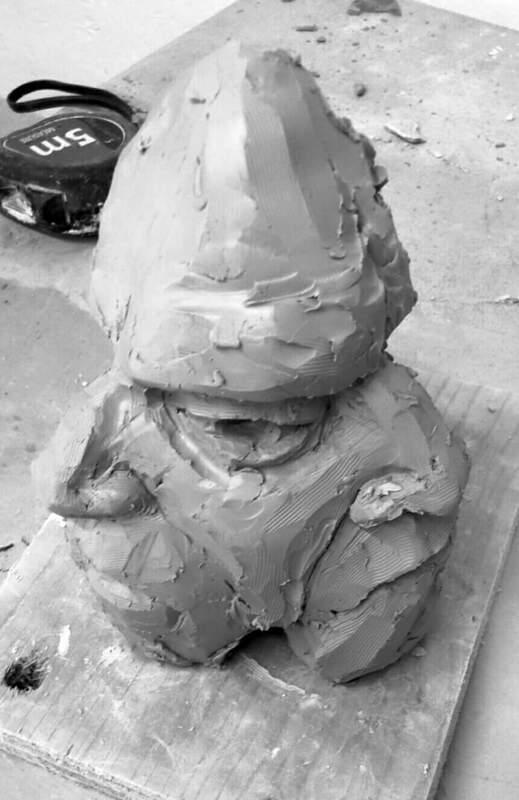 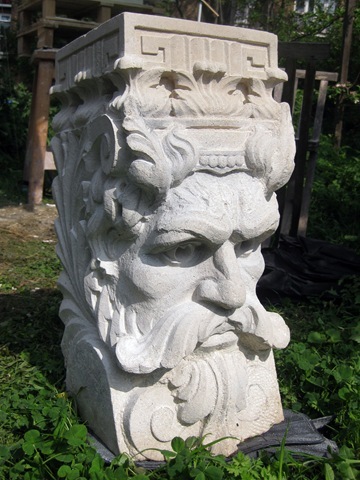 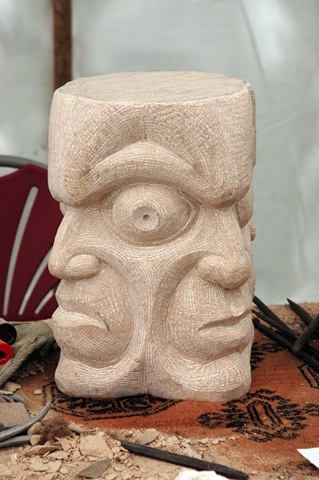 Photo diary showing the design process involved in making ‘River God’. 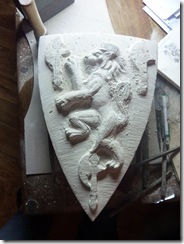 Finished and off to mould making workshop! 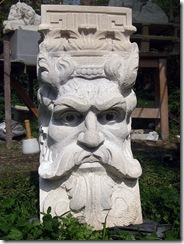 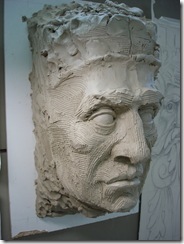 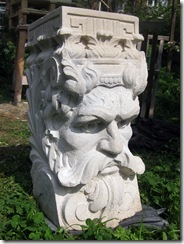 Posted in Uncategorized2 Comments on Photo diary showing the design process involved in making ‘River God’. 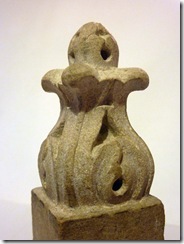 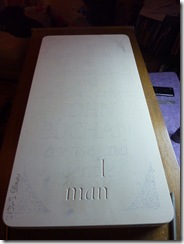 This is the first of three clay scale working models. 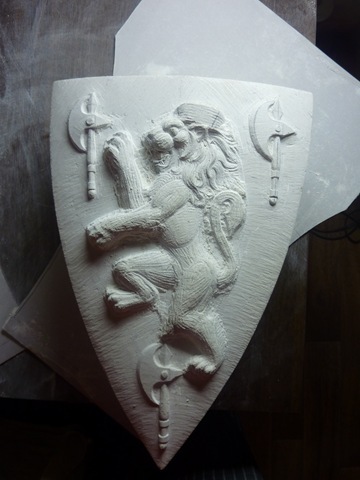 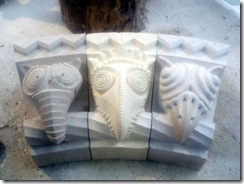 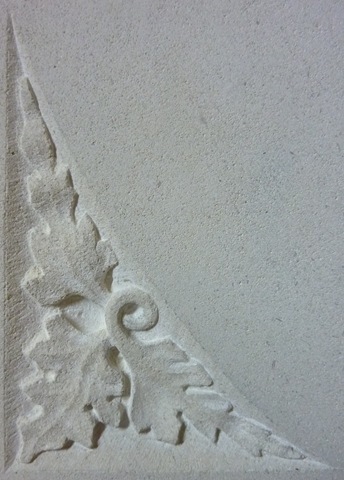 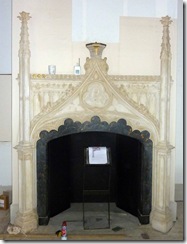 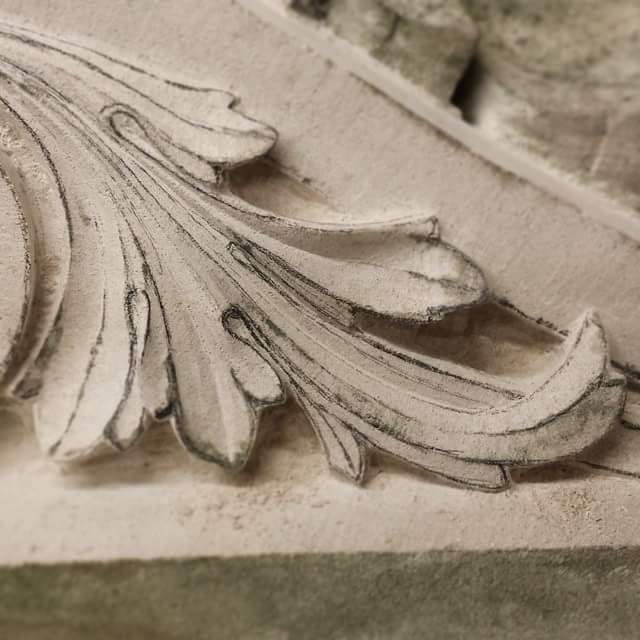 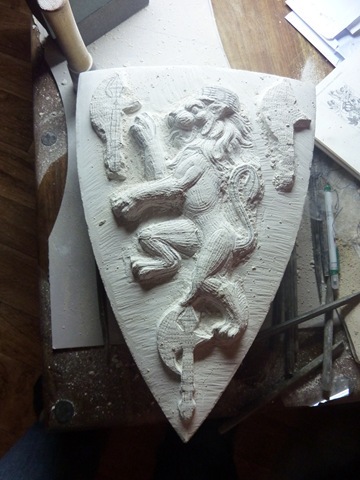 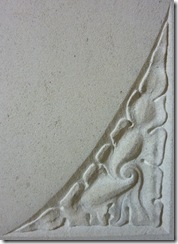 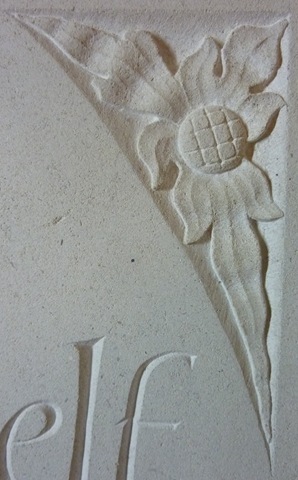 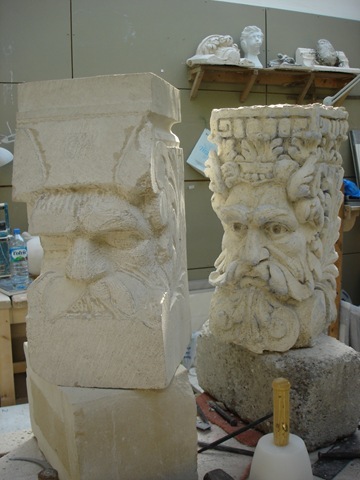 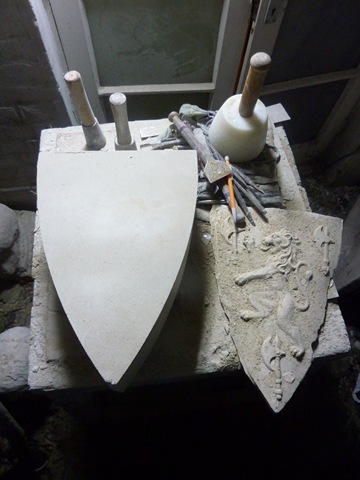 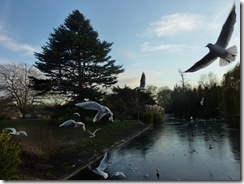 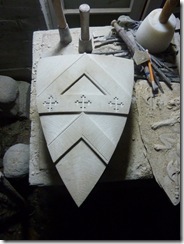 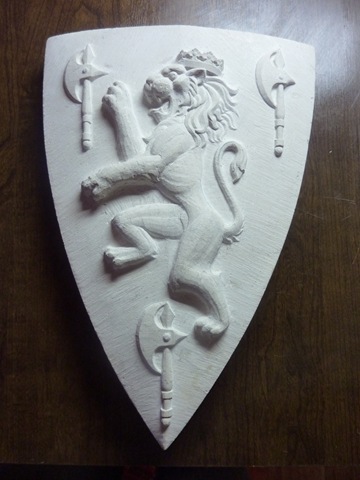 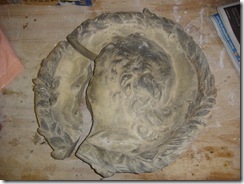 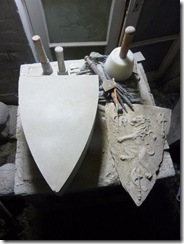 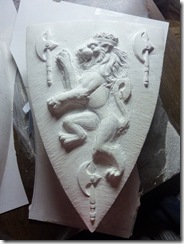 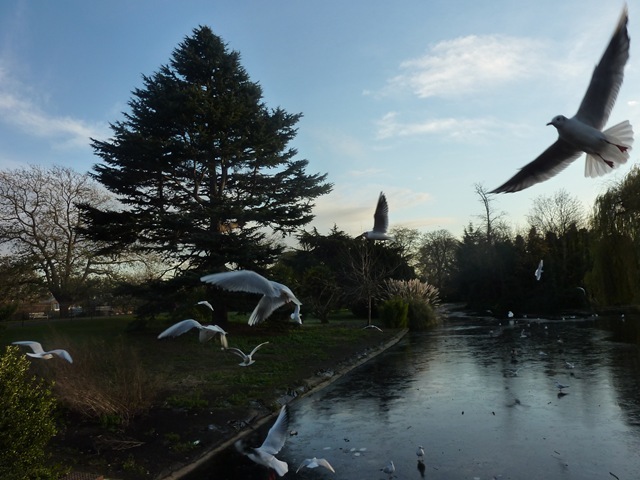 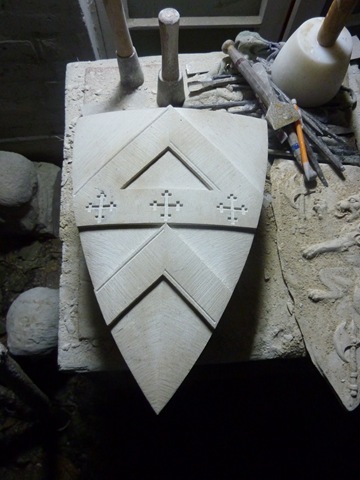 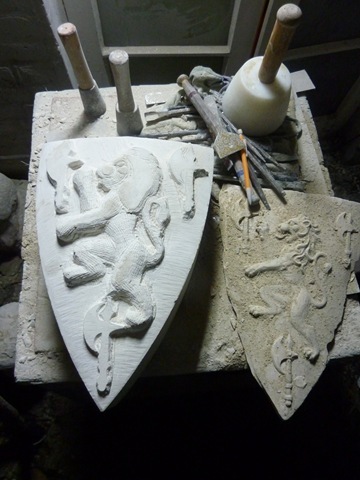 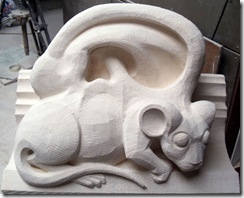 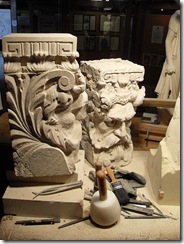 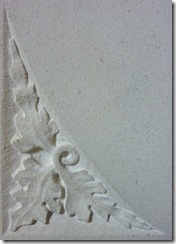 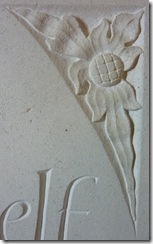 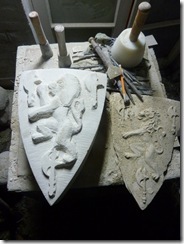 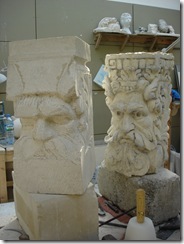 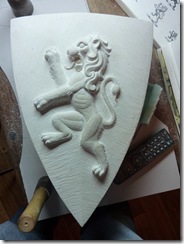 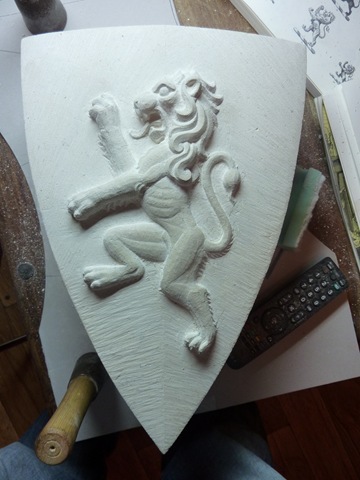 I will work from them when carving the stone shields to be installed at Strawberry Hill above the main entrance. 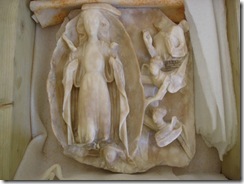 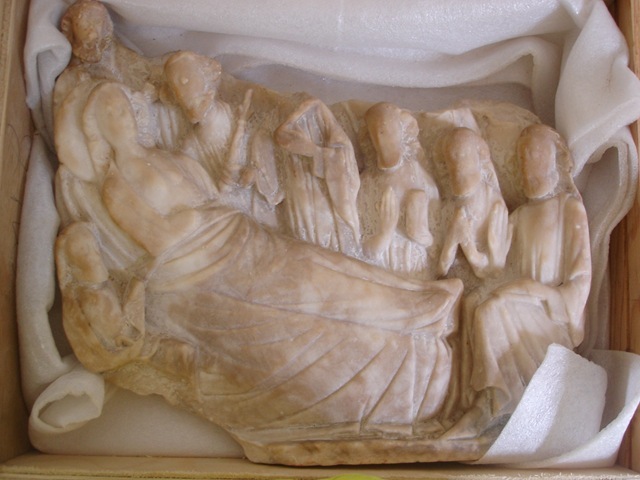 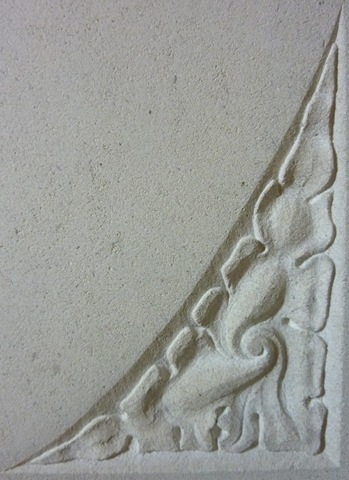 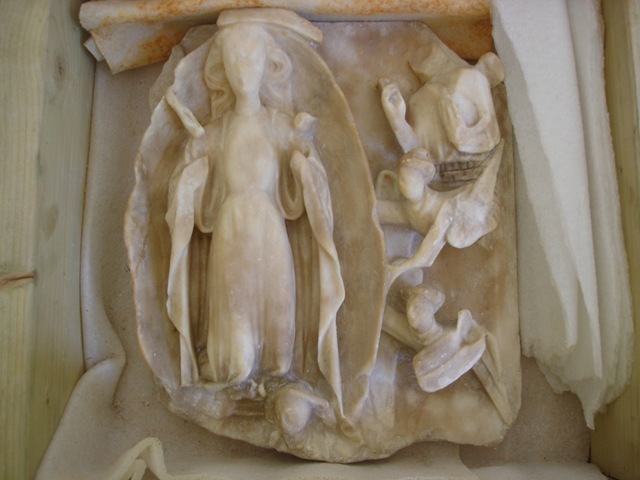 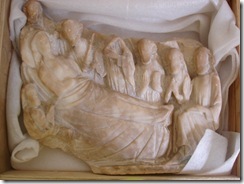 I have removed and cleaned these delicate Medieval Alabaster panels, they are the consistency of soap. 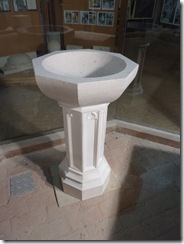 No water can be applied when cleaning as Alabaster breaks down into Gypsum. 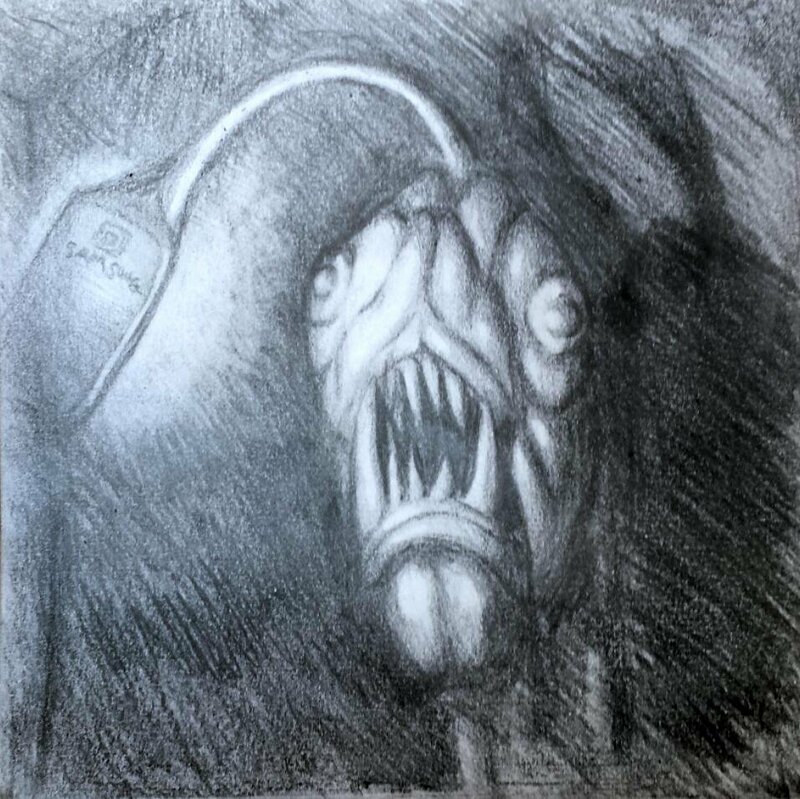 when in contact with water. 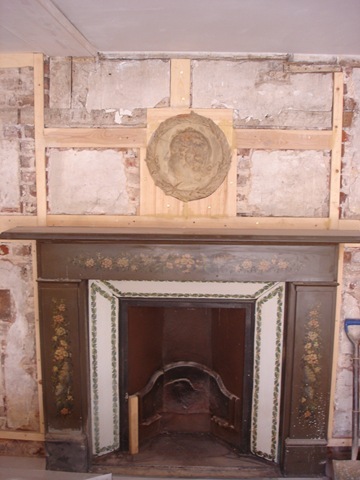 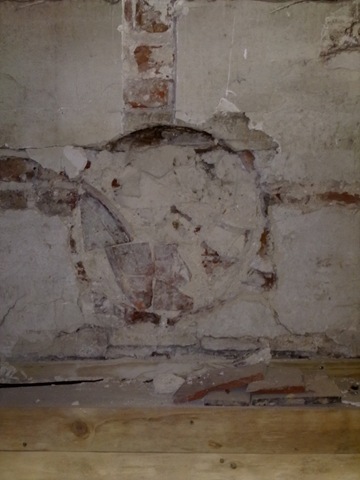 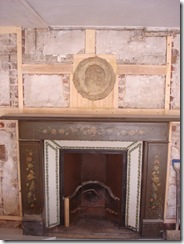 They were moved from their original positions in the 19th century, the walls of Strawberry Hill were x-rayed to find their original 18th century niches. 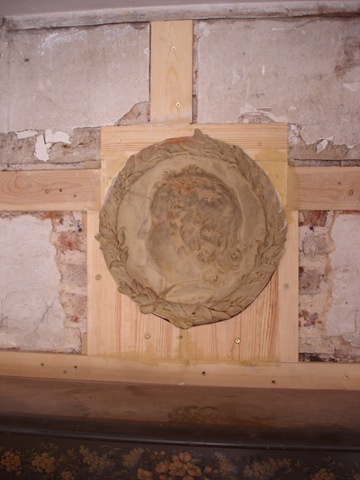 I will re-install them in their proper place at a later date, when they will be distempered.